Manchester City manager, Pep Guardiola, has said he is proud to have won the 2017/2018 Premier League title and believes his players deserved it. City were confirmed champions on Sunday, after Manchester United lost 1-0 at home to West Brom. It opened a 16-point gap between the two rivals, with five matches left in the league. “It’s incredible the way we played and I am so glad to be here and be part of this club. “These guys are fantastic, awesome – they are incredible. “This club is absolutely amazing in all terms,” he told the club’s official website. City scored 93 goals and lost just twice all season. By winning the title with five matches remaining, they have equalled the English top-flight record (Manchester United in 1907/1908 and 2000/2001, and Everton in 1984/1985 all won the top-flight title with five games to spare). 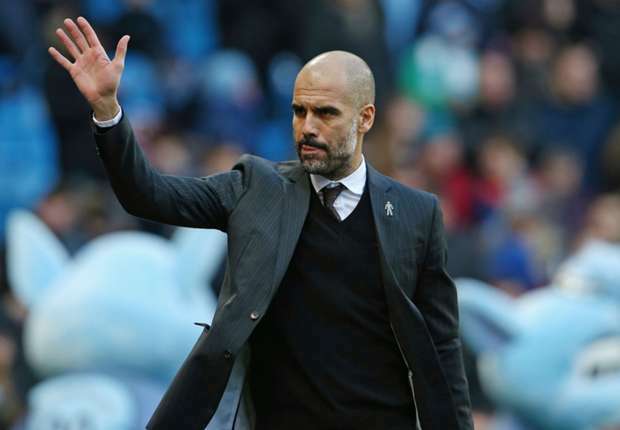 Guardiola also becomes the first Spanish manager to win the Premier League and has now won a remarkable 24 trophies in his nine-year management career.